Today, Commerce Resources Corp. made an announcement that bears a striking resemblance to what MGX Minerals Inc. has been doing with great success: Acquiring a disruptive technology for a critical metal associated with challenges in traditional processing. In July of last year, a 1,300 kg sample of material from the Blue River Tantalum-Niobium Project in British Columbia was sent to the Krupin Facility for processing with their patented technology. This looks like breaking new ground and a new success story in the making. What makes this so compelling is the excitement from Dr. Hoppe, the former President of the world‘s largest tantalum processor, being blown away of what he saw at the Krupin Facility. If one of the most respected experts and internationally acknowledged leaders in the tantalum-niobium space is convinced by the prospects of a novel processing technology, it certainly deserves your utmost attention. This breakthrough with the Krupin Process may have increased the chances of getting the Blue River Project into production considerably. What the Krupin Process successfully produced is basically saleable to anybody who buys tantalum and niobium materials, like Global Advanced Metals, Silmet, or H.C. Starck GmbH for which company Dr. Hoppe was the Head of Technical Services & Engineering Group, as well as a Member of the Executive Board; under his leadership the company grew into the leading producer of tantalum and niobium products, and remains one of the world‘s largest consumers of tantalum raw materials. From 1997 until 2007, Dr. Hoppe also served as a member of the Executive Committee of the Tantalum-Niobium International Study Center (TIC): An international association which promotes tantalum and niobium metals, and includes representatives from all segments of the tantalum and niobium industries. In addition, Dr. Hoppe was the President of the TIC in 2002 and 2007. The opportunities in today‘s niobium market are huge (the market is growing by 8-10% per year), with most niobium going to the manufacture of High Strength Low Alloy (HSLA) steel. 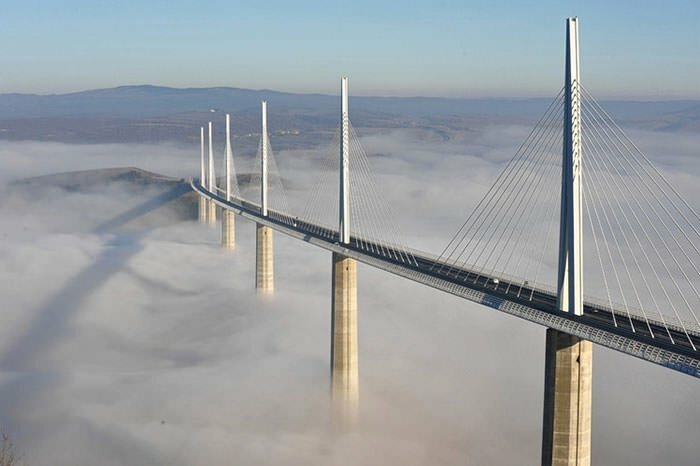 This HSLA steel is used in building construction and bridge construction such as the Millau Viaduct in France, the world’s tallest bridge, or to the manufacture of stronger but lighter steel chassis for most cars, whether they are Internal Combustion (IC) engine vehicles or Electric Vehicles (EVs) because of the benefits of increasing fuel economy or extending battery range. The global niobium market continues to be supplied by only 3 mines, and there have been no new additions brought into production since late 2006 when the market price quadrupled. One of the reasons for this lack of producers, which may not be well known, is that niobium deposits can have metallurgical complications. The tantalum market is more bizarre, however this is not on the demand side but on the supply side. Most of the world‘s tantalum continues to come from unattractive locations like the Democratic Republic of the Congo. In this respect, consider the 2 executive orders (see here and here) signed by US President Trump on December 20, 2017, with a specific list of commodities that the US wants to source domestically or from key allies like Canada. The second executive order is about the US to not purchase commodities from questionable sources like the DRC (see here). Both tantalum and niobium fall into this ballpark. (1) While under previous administrations, these actions could have been seen as window dressing or political posturing, in this case they involve an administration that is clearly preparing itself (and the US) for a period of very real geopolitical, trade and possibly military confrontation, i.e. these are Trump “battle orders” not Obama “guidelines“. (2) While there are currently numerous different organizations that published their own versions of a “critical materials pyramid“(using their own criteria), Trump‘s list will be THE definitive list that is used from this point forward today. In the past, there was a perceived reluctance by the White House to officially label certain resources as critical for political reasons, but this time around it is likely that these will be labelled by the White House as critical. By the way: Everything Commerce is working on is included on this list – tantalum, niobium, REEs and fluorspar. In other words, before it was simply an organization‘s or department’s position, but since the 20th December 2017, it‘s official US policy, directly connected to national security. (3) Under the definitions of the executive order, there is absolutely no way that defense-critical minerals coming out of Africa, China or even Latin America (massive indebtedness to the Chinese) could be remotely regarded as “secure“ or “stable“. The Blue River Project is 704 km from Boeing in Washington State (only 22 hours by freight train). While obviously the tantalum is not going straight to Boeing, the point is clear to see. Blue River is already cost competitive with the DRC, it‘s in a completely stable, closely US-allied jurisdiction; and now Commerce has a process that will make them even more competitive. Commerce released a positive PEA on the Blue River Project 7 years ago, and the company then completed additional positive metallurgical work and added to the resource through additional drilling. The Blue River Project currently has an Indicated Mineral Resource totalling 48.4 million tonnes at 197 ppm Ta2O5 and 1,610 ppm Nb2O5, and an Inferred Mineral Resource totalling 5.4 million tonnes at 191 ppm Ta2O5 and 1,760 ppm Nb2O5, which works out to approximately 24 million pounds of tantalum and 200 million pounds of niobium. At this point, it appears that Commerce, with the Krupin Process, may have the ability to produce both of these critical metals at a lower cost than anybody else today. The idea is to mine it at Blue River and process it on site with the Krupin Process, so that a pure product can then be delivered to the end-buyer worldwide. Following the success with the initial processing of material from Blue River, Commerce is now working towards the signing of a definitive agreement whereby Commerce will acquire the global rights to the Krupin Process. Upon signing of such a definitive agreement, additional data on the Krupin Process may be made available. The intent of this agreement will be to further the development of the Blue River Tantalum-Niobium Project towards production with the incorporation of the Krupin Process on site in British Columbia. Commerce believes that the technology offered by Dr. Krupin is cost advantageous compared to conventional processing approaches. Dr. Krupin is an expert in the recovery of tantalum and niobium products. His overall professional experience is more than 35 years of work in this field, including more than 15 years of production experience in processing high-grade tantalum and niobium ore concentrates. Krupin‘s research activities have developed new technologies for the chemical upgrading of low-grade tantalum and niobium ore concentrates.